Your little one started solids a while ago and you’re now an expert at pureeing fruits and vegetables! You’ve done all the regulars – banana, apple, pear, potato and so on, and you sense that your baby may be getting just a little bit bored. 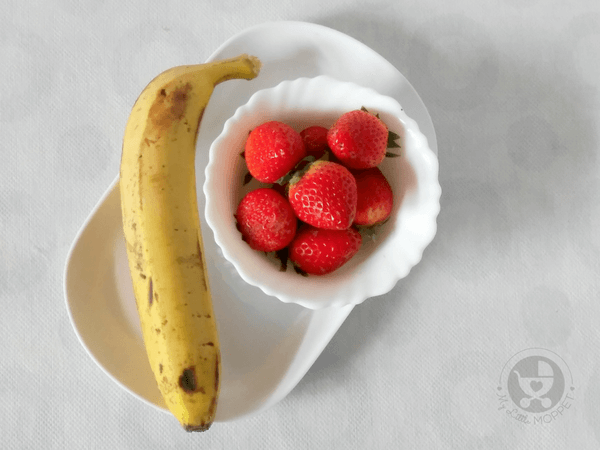 So if you’d like to shake things up and tickle his taste buds, try out a mix of sweet and tart flavors in this bright and nutritious strawberry banana puree for babies. 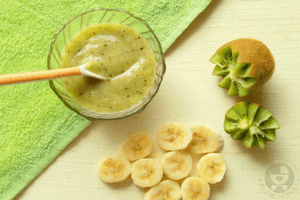 This recipe is ideal for babies over seven months, and please try the 3 day rule first. Fresh strawberries are abundant now, so make the most of it! 1. Wash and hull the strawberries. You can do this by inserting a straw from the pointy end and pushing it out through the leafy part. Chop the strawberries. Peel and slice the banana. 2. Add the fruit chunks into a large mixing bowl and blend it to a smooth, lump free puree using a hand blender. 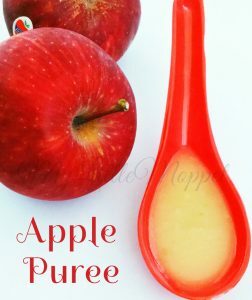 You may also use a grinder jar or food processor to puree the fruit if you don’t have a hand blender. 3. Serve the puree immediately. 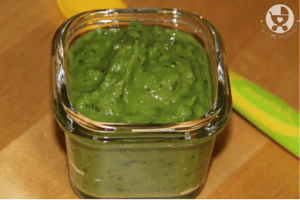 Isn’t this one good-looking puree? 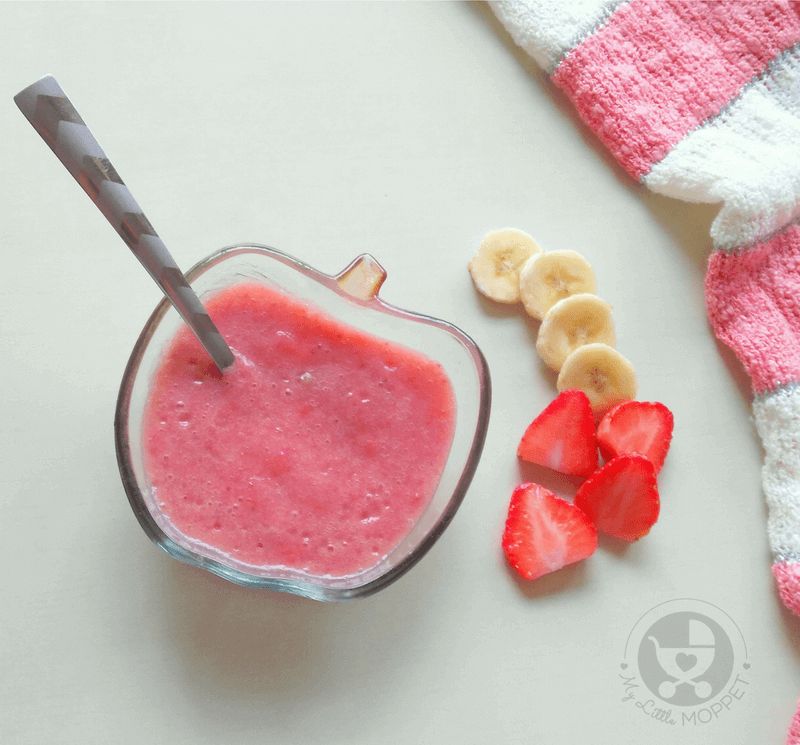 The very sight of this Strawberry Banana Puree for babies is enough to get them interested in their meal! 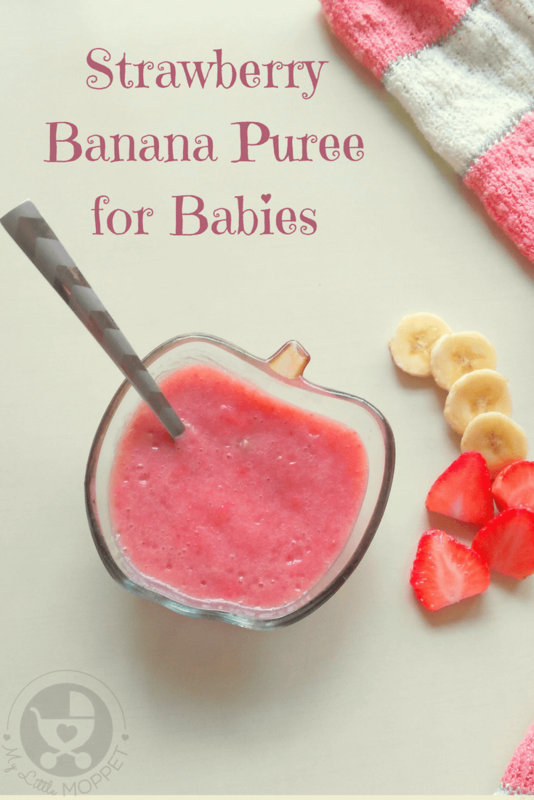 With just two ingredients and no cooking involved, this is a super easy and quick recipe for babies! 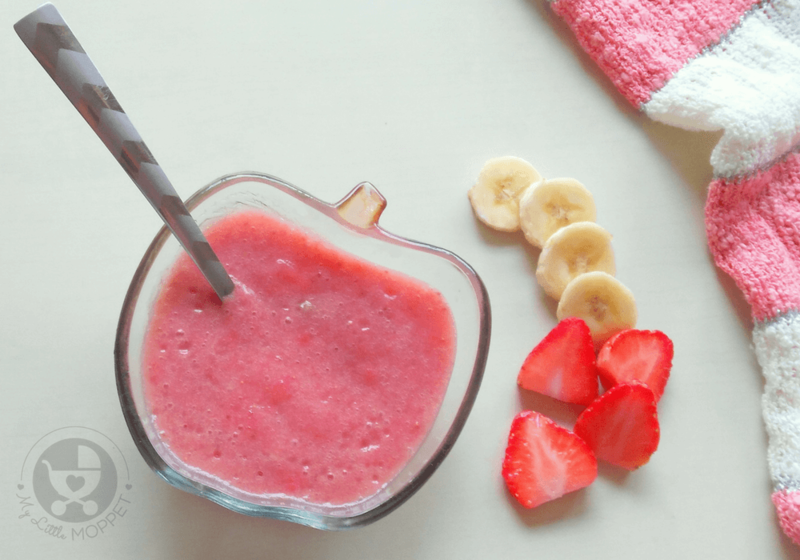 Give your little one a mix of sweet and tart flavors in this bright and nutritious strawberry banana puree for babies! Wash and hull the strawberries. You can do this by inserting a straw from the pointy end and pushing it out through the leafy part. 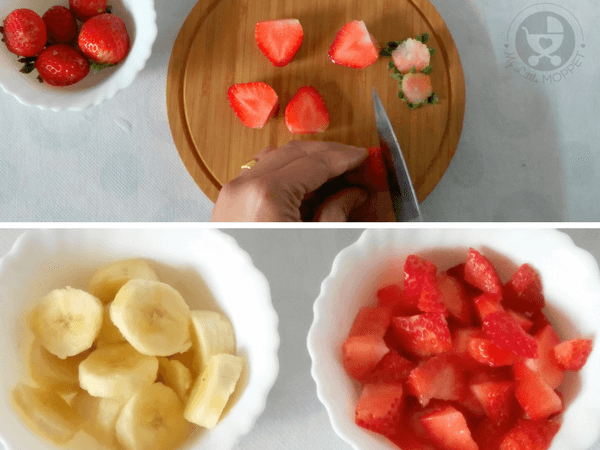 Chop the strawberries. Peel and slice the banana. Add the fruit chunks into a large mixing bowl and blend it to a smooth, lump free puree using a hand blender. 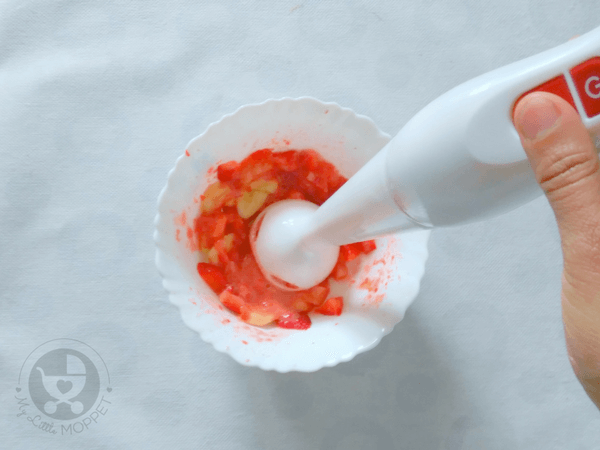 You may also use a grinder jar or food processor to puree the fruit if you don't have a hand blender. 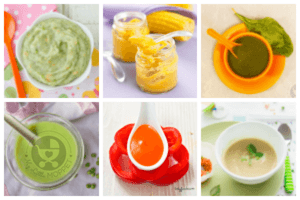 How to make Sweet Potato Puree for Babies? Does this purée freeze well? Puree has to be transferred into ice cube trays/ safe to freeze containers for freezing. It can be kept for the maximum of 3 days. my daughter is 2yrs 4 months weighs 9.5 kg and she is allergic to dust and pollution often get attacked by cold so she is advised to avoid banana nd citrus fruits…. There are many other fruits that you can feed your little one like apple, mango, kiwi, pineapple, peach,papaya, passion fruit etc. 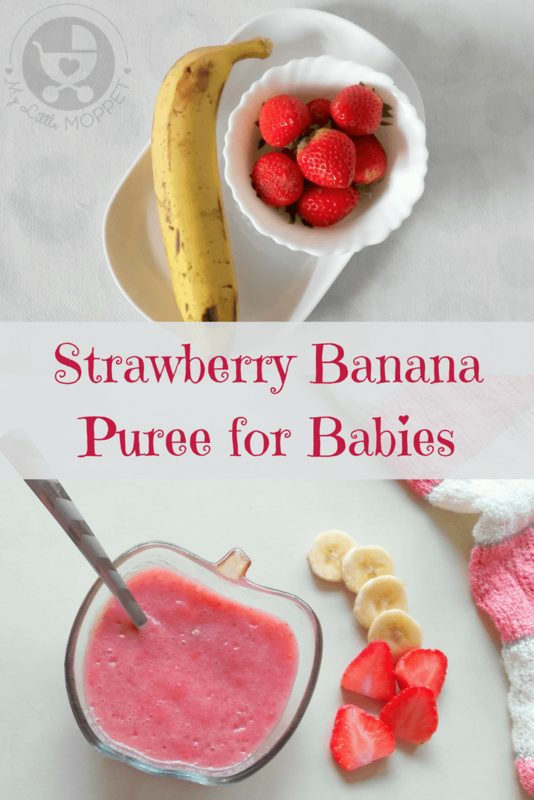 You can feed strawberry puree to babies by removing the banana from the recipe altogether or you can add Apple or any other fruit in the puree.